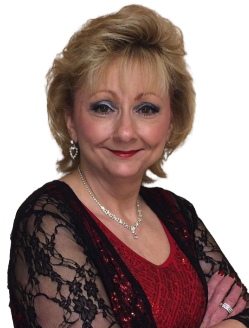 "Building Dreams One Home At A Time"
Hi, my name is Janice Koss and I have been a Realtor since June of 1996. Since then I have earned the Graduate Realtor Institute and Certified Residential Specialist designations. Many years ago, I took the Broker's course and passed the state exam to get my broker's license to better understand the business side of running a real estate office and to just be better trained. About 10 years ago, I was invited to join the Relocation Team at Coldwell Banker Select and continue certification classes each year to be a part of Cartus, E-Relocation & USAA for buyers & sellers. Education is very important & interesting to me. My husband, Allen and I have been married since 1979 and moved to Glenpool in April of 1990 and there raised our three sons. Our oldest son served in the Navy and then as a Police Officer for a small town. The other two sons either are serving or has served our country in the United States Air Force. 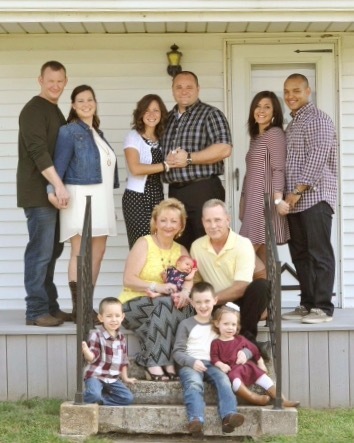 Our middle son and daughter-in-law have blessed us with a grandson, Caleb and then in the Summer of 2015 with a beautiful grand daughter, Kinsley and July, 2017 with another grand daughter, Kyla. Our youngest son, Trevor and his wife Emily have added to our growing family a son, Owen & daughter, Heidi and now a precious baby girl, Hallie Mae!! All of our sons are married to beautiful Christian ladies, and we eagerly are awaiting even more grandchildren (hint, hint). We enjoy our little town that is growing by leaps and bounds and look forward to many years to come! It is with great joy that I teach the 3rd, 4th & 5th grade girls Sunday School class at Bible Baptist Church in Sapulpa. We have been active members there for many years and serve wherever God calls. 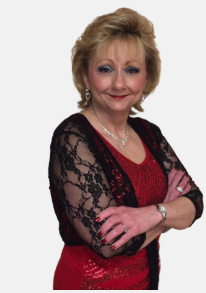 Volunteering in the community for the Glenpool Chamber has also been a great joy and serving as an elected Board Member on the Executive Board as Vice-President for 2011 was CHALLENGING and as the President for 2012 even more CHALLENGING!!. I appreciate the confidence that the members had placed in me to represent their needs for our Chamber. The Glenpool Chamber honored me with Volunteer of the year in 2008, Citizen of the year in 2015 and for the Glenpool Optimist Club, I was Volunteer of the year in 2016. As a real estate professional, it excites me when I help those who are looking for that first home to accommodate a growing family or to downsize, because they find themselves as an empty-nester. I will hold their hand thru the entire process and answer every question or concern, to the best of my ability! Please allow me to show you how I can market your home to sell in the quickest time and most profitable way. Thank you for visiting me on the web. Call or e-mail me today for your free Comparative Market Analysis! My aim is "TO EXCEED YOUR EXPECTATIONS AND TAKE CARE OF YOUR TRANSACTION AS IF IT WERE MY OWN"! MAY GOD BLESS YOU AND MAY GOD BLESS OUR COUNTRY! !